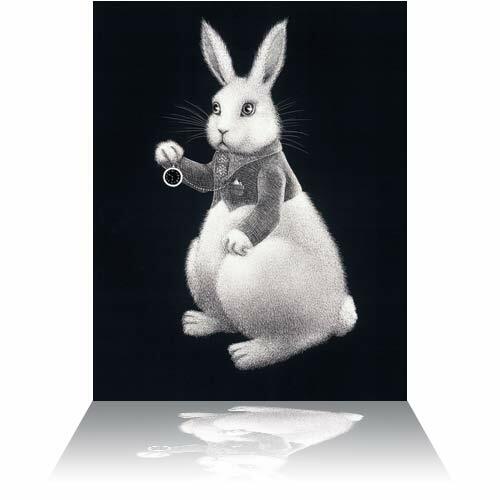 he white rabbit represents curiosity – always in a hurry and just out of reach. He is a moving mystery. His backwards watch annoys him into constant running. The race for knowledge and experience leads Alice to recognition of the absurd. The rabbit/curiosity leads – we follow.